This extensive renovation for Aritzia’s corporate headquarters is located within a former cannery building in the historic industrial waterfront area of Vancouver. 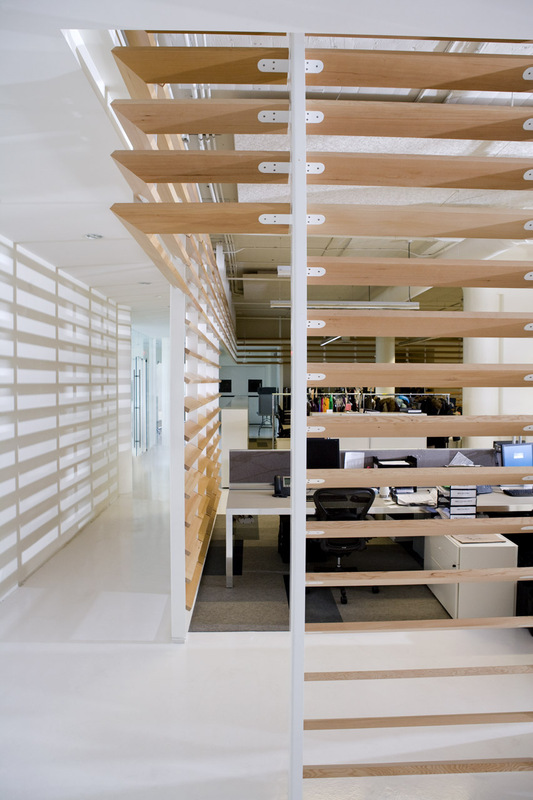 The open plan office design needed to reflect a commitment to the exuberant and youthful design culture of the company. A robust design gesture in the form of a screen element was proposed to literally and conceptually envelop the overall office while providing scale transitions to private offices, intimate meeting rooms, and support spaces throughout and also embedded acoustic benefits within the open plan. Aside from these practical considerations, the screen also served as an architectural element that unified the space, giving it an identity reflective of the Aritzia corporate brand. 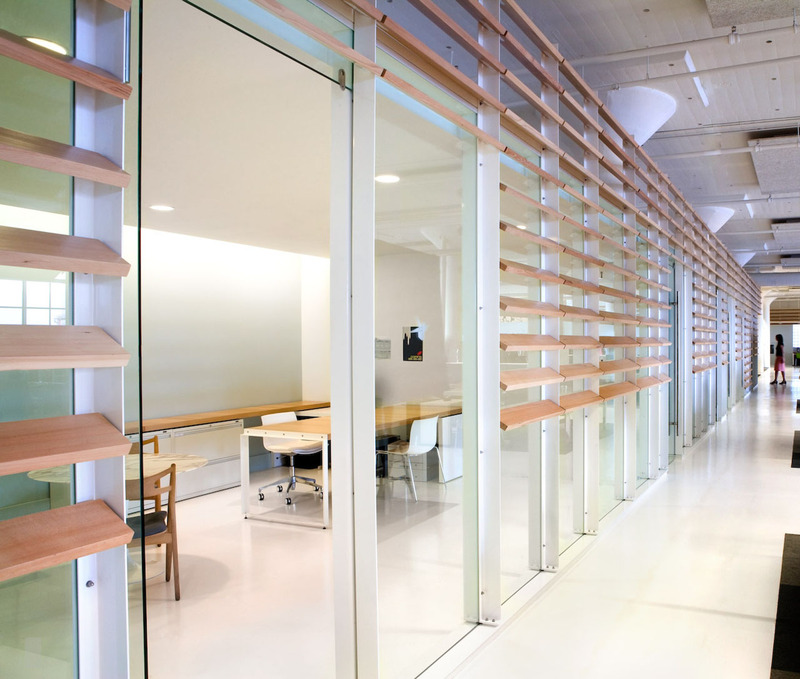 Architectural precision of the enameled white steel screen framework is offset by the varied modules of locally milled hemlock louvers and glass panels that respond to the existing warehouse conditions and the programming itself. 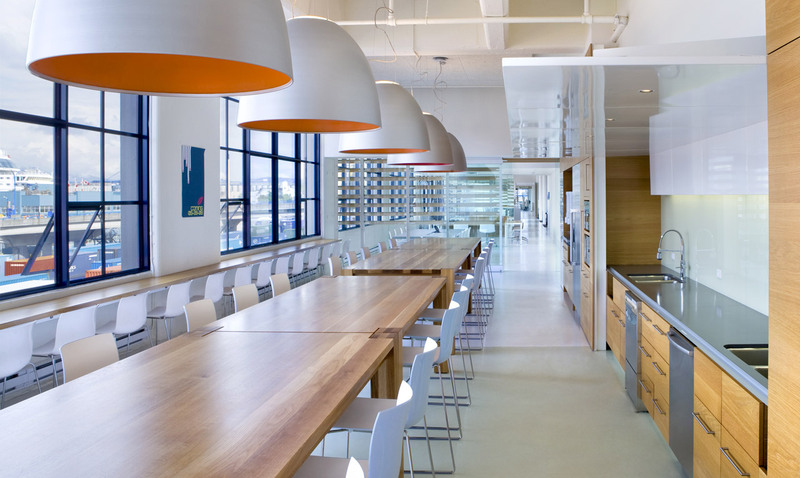 Generous cafeteria and kitchen spaces are interspersed throughout and hard-wearing materials are employed to ensure longevity.